If you just got the device named Coolpad Defiant which is such the great quality service at the fraction of the cost, you can check out the details below in order to get started using your new device. 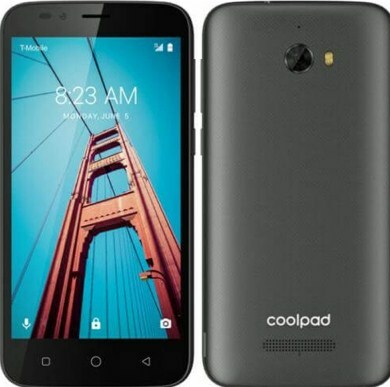 This guide will uncover the things about Coolpad Defiant quick start. The first one is in the box. The device known as Coolpad Defiant comes with everything you need to get started with enjoying the new device. some of the things included are USB sync or charge cable, AC adapter, quick start guide and safety warranty information. The second one is buttons and icons. There are a lot of things that you can do with your ned Coolpad Defiant, so here is the quick glance of some basic items to get you started. 1. Power = you can press and hold this key to turn your phone on or off. If you want to turn on or lock the screen, you can just press it. 2. Recent = you can tap this key to open the list of the recent apps. 3. Home = this key can be used to return to the Home screen and to active Google Search. You can tap the key for the first action and please tap and hold the key if you want o perform the second action. 4. Back = this one can be used to return to the previous screen. It can be done by tapping it. 5. Volume = please press the key to adjust the phone volume. The third one is charging the battery. In order to do it, the first thing that you have to do is to connect the Micro USB end of the data cable to the Micro USB port on your device. this one is located on the lower right of the phone. then, connect the other end to the travel adapter. The next thing that you have to do is to connect the travel adapter to the electrical outlet to fully charge your phone. Please use the travel adapter that comes with the phone as using the other adapters may damage your phone. Aside from that, you have to keep in mind that charging your phone through the USB cable that is attached to the laptop takes more time than charging it with the travel adapter. The fourth one is power phone on and off. There is the Power key that can be found on the upper, right hand side of your phone. You can press and hold the Power key for the few seconds in order to turn on your phone. If you want to turn off the phone, you can press and hold the Power key as well until the menu pops up, and then select Power off. That is the quick start guide of Coolpad Defiant. For further information about the Coolpad Defiant and the guide to use this device, please download the file that you can get from the official website of Coolpad. Related Post "Coolpad Defiant Quick Start Guide"